Microsoft to Snap Up Logitech? 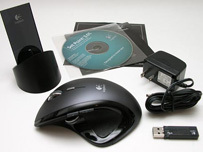 The world’s largest software firm could become the world’s leading peripherals manufacturer if rumors linking Microsoft with a takeover of Logitech bear fruit. According to a Reuters report, rumors are circulating amongst traders that Microsoft may be about to launch a takeover bid for Logitech at 48 francs per share, representing a premium of 38 percent and valuing the company at 9.16 billion francs. The speculation has seen the Swiss company’s shares gain up to 12 percent Thursday. Logitech board member Daniel Borel, the group's largest shareholder, sounded less than enthused about the prospect of selling his six percent stake. "I am a co-founder of Logitech. Would you be willing to sell your child? "I have no reason to sell. But I will not be the one to decide. I own only some 6 percent so I will neither enable nor prevent a sale of Logitech."